Blog - Why Choose GingerSnapCrate? Unique -Majority of subscription boxes out there are related to beauty products, food, fitness, etc. 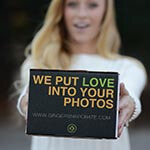 GingerSnapCrate is a personalized box that includes your personal photos. 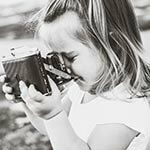 These memories are then hand selected and edited by the best digital artists out there. We then use the newest and the best printing companies. Once these items are finished they are then sent to your front door every month! Personal Touch -The difference that sets GingerSnapCrate aside from other subscriptions is that it is very personal. While other boxes include products that may or may not be similar to your likes, we offer boxes that have products which have your life included in all of them. Great Quality for Great Cost -If you log on to google and look up other subscription boxes most are either small samples or larger items for a more expensive price. While some items that come in our box sell in retail for a set price that could cost half the price of the box for one item, we offer a set price where multiple items will be sent to you; it’s a steal. Rewards -We offer reward programs where it’s possible for you to earn a month free from your subscription. These programs involve different platforms such as social media challenges and referral credits. We love our customers and we love to reward them for their support! Takes Care of Gifting for You -We make it easy on you. Editing and formatting pictures can take up a lot of time! Luckily you have us for that. 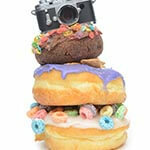 Once your pictures are put on hand picked items, they are shipped directly to you. If you decide to gift your items, all that is left to do is give a gift that will last a lifetime.